I’ve just released the version 0.8.1 of DeHL. The downloads can be found on this page and changelog on this page. This is mostly a fix release with only one major feature – Cloning (in DeHL.Cloning). The rest of the changes are either bug fixes or janitorial changes. Any chance of adding a String type similar to .NET using records/operator overloads etc ? It would make it easier for C# guys to move to delphi, instead of switching to Pos(), etc etc.. I actually have a semi-working version of “TString” but I never go the time finish it properly. Checked in a fix. Thank you! I’m sure someone 🙂 Would be happy to assist in finishing the “TString” code. Somewhere next week I hope to have something worthwhile. Looking forward to seeing ‘something worthwhile’…. Still need to iron some things out and to start writing tests after the public API is complete. P.S. Need a better name. TString sounds weird! JclStrings has an method called… DotNetFormat() not sure if its a true clone of Format in .NET. Again.. .NET guys can translate easier to Delphi if the Format matches the .NET style. TrimStart() – I see TrimLeft etc.. So maybe an alias for TrimStart/TrimLeft. Maybe add some common extension methods ?? 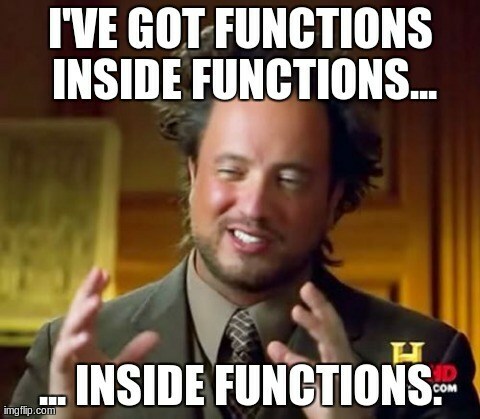 For old Basic style programmers..
And maybe ToBase64, IsNumeric, IsDate, IsAlpha ? Delphi2011 will be getting RegEx from what I understand so the IsXYZ methods could be record helpers in a StringExt file ??? Added most things in. Some .NET methods make no sense in Delphi, for example String.IsNullOrEmpty. Nil and Empty strings are same on Delphi. I’ve marked those as deprecated by default and those are only compilable by a switch (on by default). Format is a bit tougher! There are many things there that needs implementing. will leave it for some other time when I do have it. Note: DeHL is not a .NET porting helper. There are decisions that I make that might not be .NET friendly.